Being a homeowner comes with many responsibilities, such as locating a Levittown roofing contractor to address your need for professional services. Savvy locals know that the name to trust in is Magnum Contracting Group. We take this line of work seriously and that is evident from the results that we are able to get for each and every one of our clients. As you probably realize by now, your rooftop is the most important part of your home. This is what helps to protect the entire rest of your home from the elements. Plus, it keeps the people and possessions inside the home safe and dry. It is vital that you give it a fighting chance to do its job, while maximizing both longevity and performance. We look forward to having the opportunity to partner with you and provide you with the level of quality service that you need. It is an honor to help locals keep their homes in tiptop shape, by offering the finest in quality service for your roof. Don't delay, call today and make sure that you get the superior workmanship you deserve. If you find yourself in need of repairs for your rooftop, you may feel overwhelmed. 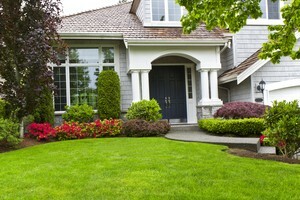 What we like to say is one surefire way to try to avoid repairs is to schedule your inspections.So how does this help? A roof inspection gives our experts the opportunity to see what is really going on. You cannot know the current condition of your roof, without a professional analysis. The only other option is to wait for your roof repairs to make themselves known, which is not the ideal way to go. Inspections are a much more cost-effective alternative to waiting to discover repair needs. Being able to spot and deal with red flags is a lot cheaper than having surprise emergency repairs sprung upon you. An inspection can also help you to make your home more energy efficient. One of our pros can make adjustments or offer advice on ways your roof can help conserve energy. This saves you money on your monthly utility bills, as well as makes your home more eco-friendly. 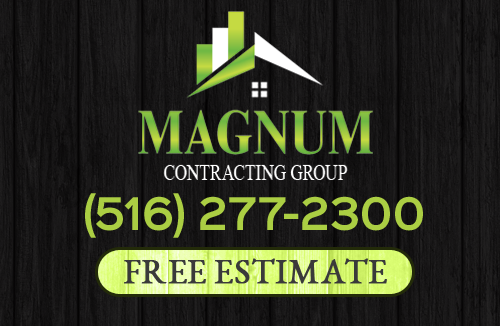 Magnum Contracting Group, your Levittown roofer, is the name that you can count on for important roof replacement services, as well. When the times comes that repairs are not enough and replacement is your only option, you want to be confident that you can get the best results possible. You can feel confident knowing that we will be able to provide that for you. If you are looking for a professional Levittown roofing contractor then please call 516-277-2300 or complete our online request form.